THE NEW VR GLASSES ARE HERE FOR YOU! 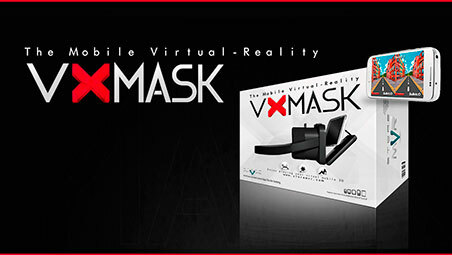 The best Virtual Reality experience for your mobile phone! Perception is one of the most important things when it comes to virtual reality devices, where the person using it has to guide themselves through their senses (vision, touch and hearing) to be able to make a complete experience out of this “simulation”. virtual reality apps offer something more than just a simulation, they offer interaction with the device, which becomes a presence within itself. Thanks to this, people will be able to do tasks in a remote but nonetheless real world generated by the virtual reality device, together with its virtual reality apps, games and videos. During these past years and especially during 2015, there has been considerable progress in this field. In comparison, new-gen consoles haven’t improved as much as virtual reality apps and virtual reality games have, for example. It is a fact that virtual reality apps are quickly finding their place in the market with high quality products, bringing added value to entertainment and the tech industry. Every company in the entertainment sector are setting their bets on virtual reality.